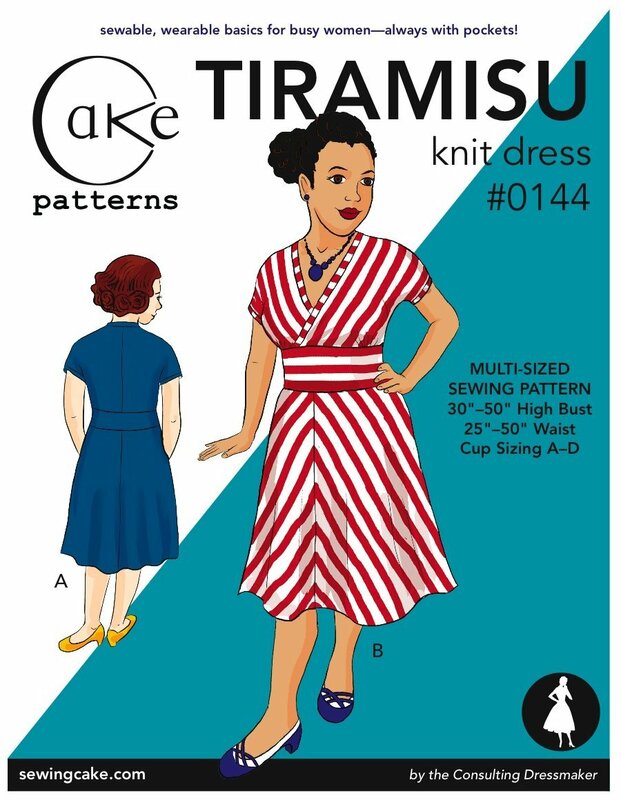 I know I've been quiet as a little wishes-she-had-time-to-sew mouse over here, but wanted to make sure you all knew tomorrow is the very last day for Steph aka the Consulting Dressmaker's Tiramisu dress presale. As you may have heard, I've been working with my husband Masheka on the illustration and design for the pattern, and it's been an awesome experience... can't wait to actually make the dress! Anyway, from now until tomorrow Oct. 5 (Australian time tomorrow, which I'm totally confused about), you can get this lovely dress pattern for $11 instead of $17. It ships in early November. Go go go while you still can! Still no sewing over here due to an ongoing battle with my toddler over bedtime—no matter how many times we send her back to her room, she comes popping back out again unless one of us lies there with her mumbling made-up bedtime stories and lullabies for hours and rubbing her back... which usually ends in me falling asleep on the guest bed around 11 p.m. while she's still trying to jump all over the bed. But as soon as the situation improves, I have lots of crafty plans! Dear Mikhaela, after spending what seems like years sitting outside my children's bedroom doors waiting for them to fall asleep I discovered story books on tapes. I guess it would be digital now but they worked wonderfully for me. I've had 4 children and this would be my best tip for active littlies. Keeps their mind interested while their body relaxes. I hear you on the bedtime thing. We're going through something with that right now too. Once they get too big for a crib it becomes even harder to prevent them from popping up every five seconds. Sigh. And with the little one waking up frequently in the evenings, I'm not getting much sewing done either. I just end up giving up and going to bed with all of my kids. But this is just a short season in our lives, right? Right. It IS such a short season in our lives... AND I know part of the reason it's still going on is I'm not really that committed to changing it, because when I've got my little Z curled up next to me with her arms around me saying "More stories, Mommy!"... well, it's kinda hard to want to be anywhere else. My two year old twins slept on a floor mattress and for a while now they each have had a toddler bed, but they would stay in their room until recently. They learned how to open the door and like to "visit" us in the middle of the night. The boy also gets up at night to use his potty and wants to stay up and my husband will take him back to his room and sing a song and rub his back and he will go to sleep, but sometimes he comes back to our room and has to be taken back again over and over. Lately it has been getting better because they know we will put them back in their room so they just stay in there. Also, like Inder-ific said, it does not last forever. Next month it will be something else lol. I have so many things planned out, but have been too tired to sew. I ordered the dress pattern, and I can't wait to sew it up. It even has my hubby's endorsemnt! I love your illustrations! They're just so cute! Good luck with the bedtime thing-- hopefully your little one will start to get sleepy at bedtime soon! I know you haven't been able to sew for a while, but Elliot Berman Textiles is having a Pattern Review 11th Anniversary party Wed, December 12. There will be cake!